Johnsons Garage Door has made garage door repair and services easy for you in Eagan. Being a locally operated company, we offer same day garage door and gate services for your commercial and residential needs. Your garage doors and gates are the safeguard of your favorite car as well as your property. Proper maintenance of your garage door and gate not only ensure the safety and security of your belongings, but also provide you with an additional image in the society. Here at Johnsons Garage Door, we are now offering you an all-in-one service for any of your garage door repair in Eagan, Minnesota, and gate related services throughout Minnesota. We are dealing with numerous reputed clients all over Eagan and nearby cities in Minnesota and have able to build up our image as a leading garage door repair company in Eagan, MN. We have a well-trained and expert team of garage door experts with years of experience and they are efficient enough to provide you with the best quality garage door repair, maintenance, gate installation services in Eagan, MN. People often contact us to repair their residential and commercial garage doors from Eagan. Well, it is a pretty common problem. After a certain period of time, your garage door may stop functioning properly. In this context, our team is dedicated to providing you with a long-term solution for all your garage door issues in Eagan, MN. Not only garage doors, but our team is also highly efficient to deal with any of your gate related issues too. At the Johnsons Garage Door, we have a specialized team of professionals who have already dealt with various gate installations, repairs, and services in Eagan, MN. Besides, our experts are well-experienced to provide you with all the hi-tech gate automation facility in the town. Our gate services in Eagan include new gate opener installation and repairing, roller repairing and replacement, gate cable repairing and installation, gate track repairing and installation and such other customized gate installation services. If your garage door not working properly, we can understand how pathetic your situation is! It not only makes you embarrassed, but also puts your favorite car under a big question mark of safety and security. In order to bring your garage door back on the track smoothly, we are now offering you the best and fastest garage door repair and services at an affordable price in Eagan. Moreover, all our plans for garage door repair in Eagan, MN have been designed on the basis of competitive market pricing. Our garage door services include garage door installation, maintenance, opener repair, broken spring, cable repair, track alignment and more. Are you planning to install a new garage door in Eagan? Here at Johnsons Garage Door, we are offering you a complete solution to your new garage door installation at an affordable cost. We have some customized plans for your new garage door installation services in Eagan and the surrounding cities in Minnesota. When it is time for new garage door installation, you better need to leave things to the professionals. 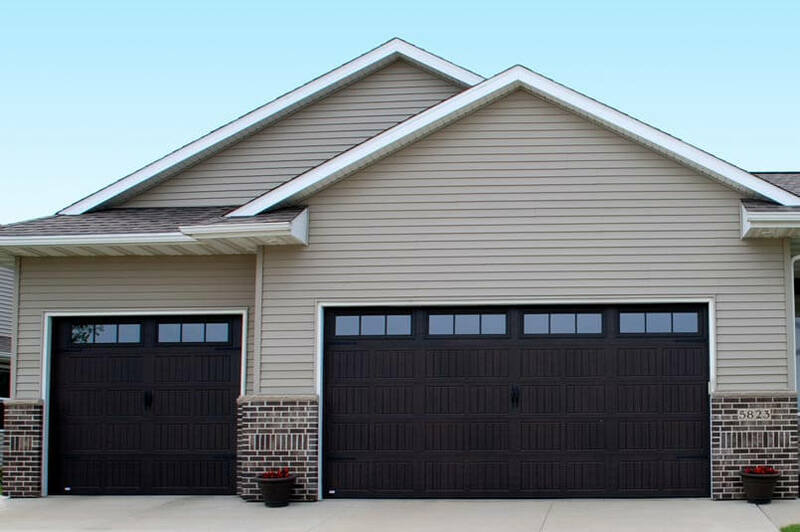 We have years of experience in installing garage doors in Eagan and surrounding cities in Minnesota. So, whenever you need a new garage door installation service for your residential or commercial building in Eagan, please don’t hesitate to contact us for hassle-free installation service. Are you facing some sort of difficulties while opening and closing your garage door? 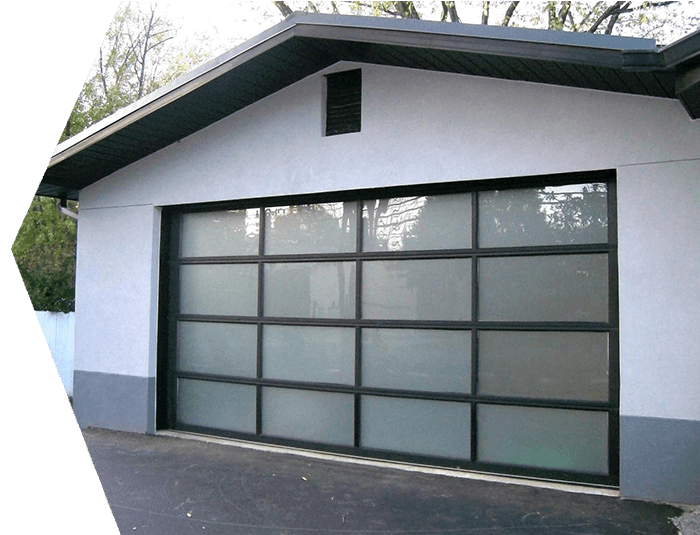 Do you need replacement of your garage door? Here at Johnsons Garage Door, we have already dealt with many such clients who came to us with the issues of the replacement of the damaged garage door. We are certified experts in Eagan and associated with many popular garage door manufacturers such as LiftMaster, Craftsman, HaasDoor and more. Be assured to get a same day garage door replacement and services in Eagan, Minnesota with us. Proper functioning of your garage door springs is quite essential for the flawless movement of your garage door. These springs may stop functioning after a certain period of time due to dirt or some other reasons. We have been the witness of many such occasions where people hurt themselves while trying to replace or repair the garage door broken spring on their own. It will always be better to rely on the professionals. Come to us to get the most convenient and hassle-free garage door broken spring replacement and repair in Eagan, Minnesota. A garage door opener is basically a remote-controlled tool that is used to open and close the electronic garage doors. Nowadays, these openers are connected with the smartphones, computers, and smart wireless gadgets. Being an electronic gadget, these openers can get stuck or stop functioning after a certain period of time due to various reasons. As a locally operated company, We at Johnsons Garage Door offers same day and best solution for your opener repair and replacement in Eagan, Minnesota. Come to us today for hassle-free services. The panels and sections of your garage door may get damaged or dented anytime. Mostly it happens, when you accidentally run a car into your closed garage door. If you run a business entity, this damaged garage door section of your commercial building will definitely affect the image of your enterprise and for a domestic garage door; it also strikes badly on your social status. We promise to provide you with a permanent solution to your damaged or dented garage door section by replacing with high-quality panels and selections in Eagan, MN. The hinges of your garage door are much essential for the proper movement of your garage door. These hinges are mainly used for the smooth folding of the garage door when it is moved. In order to function properly, the hinges require sufficient lubrication. In most of the cases, the hinge stops functioning or get damaged for the lack of enough lubrication. We have a dedicated team of professionals to ensure the proper functioning of your garage door roller and hinges in Eagan, MN, and surrounding areas. The proper maintenance of the garage door track is highly needed for proper functioning. The tracks on either side of your door and leading up to the garage ceiling serve as guides for the door. These require lubrication to operate without problems. We find so many clients from Eagan have faced and facing misaligned track and need emergency attention. We have a team of well-trained professionals with years of experience and they are efficient enough to make it sure that the tracks are aligned and working properly. So, whenever you need a garage door track repairing or alignment service in Eagan, MN and the surrounding cities, you can contact us for same day and hassle-free service. Bottom Seal or Weather Strip of your garage door ensures the full proof safety of your favorite car parked inside the garage. It seals the gaps of your garage door. But after a certain period of time, this bottom seal or weather strip of your garage door may get damaged. Here at Johnsons Garage Door, we are offering you an easy way to replace your weather strip with a new one in Eagan and surrounding cities in Minnesota. Our charge for garage door weather stripping replacement is quite affordable. Please contact us today if you need to replace the weather stripping for your garage door in Eagan, MN. Is the garage door cable is not working properly? If you tried to lift the garage door by yourself, then probably you have to face back injuries for the next couple of years. It is a pretty common problem for all the garage doors. The life of a garage door cable is estimated as 10,000 cycles, but it may be broken down due to various reasons and quality of the product. Actually, the garage door cable is dependent on the garage door spring. So if you have a problem with your garage door cable, then you better call for a professional to fix it. Being one of the leading garage door experts in Eagan, we have all the expertise and tools you need. Please call us for same-day service in Eagan, MN, and surrounding cities. Is the sensor of your electronic garage door not working properly? Well, it is a pretty common problem for all the electronic garage doors. These safety sensors are generally installed on either side of your garage door near the floor. The laser ray is emitted from one side while the other side receives that emitted laser ray. Being close to the floor, it is quite obvious for a having some sort of blocks or obstacle in the line of the laser ray and it this situation, the laser ray cannot pass from one end to the other and the garage door cannot function properly. We are offering you an expert solution to all your needs for electronic garage door sensor repairing in Eagan, MN and surrounding cities. We have services dedicated to garage door maintenance in Eagan, MN. Maintaining the garage door properly can reduce the heavy cost involved in the process. Because our service allows you to help you to avoid any sort of major damage to your garage door for your residential and commercial places. We have an expert team of professionals to provide you with a garage door maintenance and inspection service in Eagan and surrounding cities in Minnesota. Whether you need a garage door installation or repair, or maintenance or any services related to the garage door. 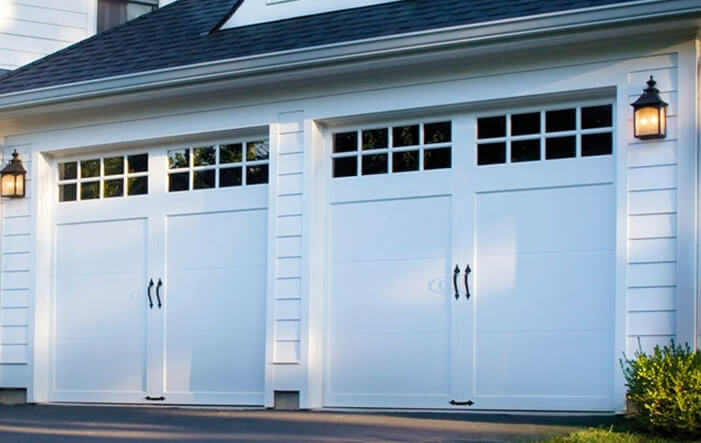 We are here to provide you same day garage door repair and services in Eagan, MN. At Johnsons Garage Door we understand that garage door services are most needed when you have an emergency. That is why we have planned an emergency garage door service for you. Our garage door experts are quite capable to respond you within the given time frame and perform the task hassle-free and efficiently. We believe in customer satisfaction and to make our service more customer-friendly, we are now offering you round the clock garage door repair and services not only in Eagan but the other surrounding cities in Minnesota too. Your garage door is the safeguard of your favorite car and a well-maintained garage door ensures the maximum safety and security of your car. In order to ensure the maximum safety of your garage door, we are dedicated to offering garage door services on an emergency basis and even on holidays. So, if you are in Eagan, you just need to pick your phone and call us at (612) 888-8997 anytime in a day and we will be there to fix the garage door at your doorstep. Johnsons Garage Door is a leading garage door company to offer you any kind of residential garage door needs in Eagan, MN. If your garage door is broken, or if you need a new garage door to install in we are right here to offer you the same day residential garage door repair and services. Johnsons Garage Door is a leading garage door service provider to offer you any commercial garage door needs in Eagan, MN. If your garage door is broken, or if you need a new garage door to install in we are right here to offer you the same day commercial garage door repair and services. Looking for a gate technician in Eagan, MN? Then you just have come to the right place! Johnsons Garage Door offers all kinds of gate related services in Eagan and the surrounding cities in Minnesota. Whether you are having iron gates, security gates or driveway gates we have the solution for you. It has been many years we are serving gate installation, gate repair, and gate related services for the commercial and residential needs in Eagan with reputation. The gates often consider as the safety tool for your house and property. But after a certain period of time, the gate may get jammed or damaged or stop working properly due to the changing weather conditions, dirt, and many other reasons such as poor quality products. At the Johnsons Garage Door, we have a dedicated team of professionals who put all their efforts together to meet any of your needs for gate installation, repair, and maintenance in Eagan, MN. We are associated with reputed gate manufacturers so be sure you will be getting high-quality products and parts only from us. Moreover, here we are offering you some customized gate repairing packages at a pretty affordable price for you. So, if it is an emergency or you need the best quote for your gate please contact us today. In the recent days, having a quality gate or your property is as important as your garage door. The modern gates are made of quality materials to provide you better safety. The automatic gates are hung on different hinges, on different columns or posts, and also have a different range of power access points. We are associated with reputed gate manufacturers and will provide you with only quality gates. And we have a team of well-trained expert professional and they are efficient enough to provide you with all sorts of new gate installation service in Eagan and surrounding cities in Minnesota at a pretty affordable price. Besides, we install a wide range of customized gates like sliding gates, single-armed swing gate, double armed swing gate, and many other custom gate designs. Now you can contact us to get a free estimated quote for your new gate installation in Eagan, MN. If you need to replace your gate or need a piece of expert advice or technician to replace the gate in Eagan, MN, then Johnsons Garage Door can help you with this. People ask us for our expert opinion and we gave them free advice. Besides, we have the best team of technicians in Eagan to help you replacing your gate easily and even same day. Please contact us today for advice or a quote on gate replacement in Eagan and surrounding cities in Minnesota. Do you need gate repair and services in Eagan or nearby places in Minnesota? If yes, then Johnsons Garage Door is the best company to deal with. There can be various reasons to call a technician. Such as your gate opener may not be working properly, the gate roller may get jammed, you may need to replace the cable or maybe need to clear the gate tracks. All these issues can make your gate stop working properly. It would be not wise to fix these issues by not calling a professional. It may make things more complicated. It can also hurt you physically. We are here for that reason, to help you. Our gate repair and services are very much affordable and our technicians are experienced and will provide you a hassle-free gate repair and services in Eagan, MN. Many people find their electronic/automatic gate opener damaged after a certain period of time. It is a quite common problem for the electronic gate users. Having a beautifully designed gate with a broken gate opener is indeed a bit embarrassing for you. Besides, after a long drive, you will definitely not want to stop outside our entrance gate, get out of the car, open the entrance gate and then again come back to the car and drive in. In that case, we are here offering gate opener repair, replacement and maintenance services in Eagan, MN. Please contact us today for a quotation. The proper functioning of the gate ensures the maximum security of your property. But after a certain period of time, your gate may stop functioning due to the dust, dirt, and weather changes. Having proper inspection and maintenance of your gate on an interval will definitely help you to avoid any sort of major damage to your gate. Now, whether your gate is making a grinding or squeaking noise or your gate is slamming against the post when it is opened or closed, or the chain is getting loose; all these are the indications of the gate servicing. In this scenario, relying on expert professionals will be a better option than trying on your own. Here, we are now offering you reliable and convenient gate maintenance and inspection service in Eagan and surrounding cities in Minnesota. Your gate is the safeguard of your premises and a well-maintained gate minimizes the possibilities of any sorts of criminal activities on your property. At the Johnsons Garage Door, we believe in customer satisfaction and to make our service more customer-friendly, now we are offering you round the clock gate repair, installation and maintenance services in Eagan and surrounding cities in Minnesota. Now, whatever the time is, you can contact us for experiencing a more convenient and hassle-free gate repair and maintenance service in Eagan, MN. Moreover, we are also now open on the holidays and Sundays. Johnsons Garage Door has an expert team of well-trained professionals who are capable enough to provide you with the same day gate repairing service in Eagan, MN. Here we have built-up our reputation as a leading gate service company in the town by providing our clients with the standard quality long-term solution to their gate related issues. With the years of experience and expertise in gate repairing services, we assure you with a prompt response for any of your gate related problems. So, if you are in Eagan, you just need to pick your phone and call us at (612) 888-8997 anytime in a day and we will be there to fix the gate at your doorstep. At Johnsons Garage Door, we have a dedicated team of professionals who are dedicated to meet any of your needs for garage door installation, maintenance, repair and gate service in Eagan and surrounding cities in Minnesota. Here, we have earned our reputation as a leading enterprise for garage door and gate services for our prompt response and advanced technologies. We put all our efforts together to provide you with a more convenient and hassle-free garage door and gate service in Eagan, MN at a reasonable rate. We are the leading garage door company for garage door installation, maintenance, and repair in Eagan, MN. At Johnsons Garage Door Repair, we offer the standard quality garage door and gate services at the competitive prices. Throughout the years we have become a reputed garage door service provider in Minnesota by giving value to our client’s needs. Please check what our clients have to say about our services. The same reviews you can find in our Google Business as they are real. Johnson’s garage door provided top quality service for my garage door. The technician told me exactly what needed to be done and had my door fixed and operable in no time at all. I would highly recommend this company. Lee did a great job fixing my garage door and explaining what should be fixed and why. He gave me options, pricing for each option and was wonderful to work with. I highly recommend this company and will call them again when needed. I have bought a beautiful house in Burnsville with an attached garage. But, prior to getting it used I get the door installed by the skilled guys of Johnsons Garage Door Repair. I would personally recommend their services to others as well. These guys have an amazing sense of impressing their clients with the quality of services. Every time, I face a garage problem they have always presented the solution. I would suggest the name of Johnsons Mobile Garage Door Repair to anyone asking for garage door service in Burnsville. Replacing the garage door opener was really a next level step for me as I don’t know about them much. But, thanks Johnsons Mobile Garage Door Repair for helping me out of such situation in Burnsville. The garage door opener they had provided is working without any problem for the last one and a half year. Garage door broke and needed a repair on a Saturday evening with temps in negative. Adam came out within 2 hours of my call. Very pleasant and did an excellent job fixing my garage door and charge was very reasonable and also gave me tips on how to maintain my garage door. I was locked out in my garage due to the door jammed so tightly. I got the number of Johnsons Mobile Garage Door Repair and I called them at midnight. They arrived at my house at immediate after my call. It took a minimal time to get the problem sorted.